Lot 14: Greek Italy. Northern Apulia, Arpi. 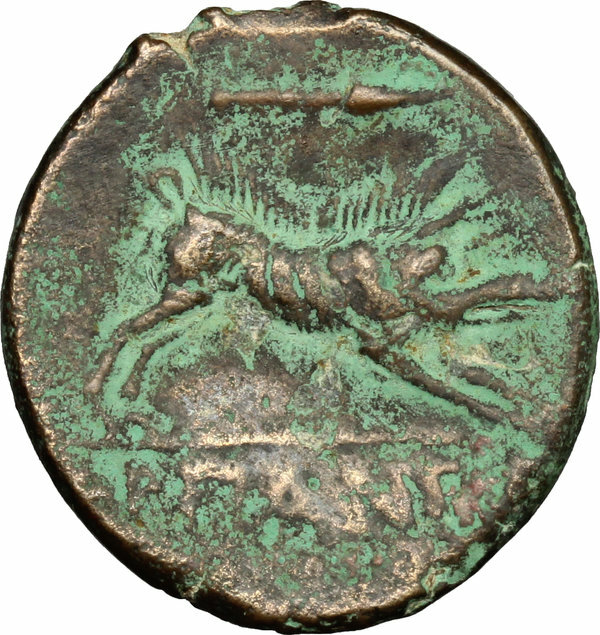 AE 22 mm., 325-275 BC. D/ Laureate head of Zeus left; thunderbolt behind. R/ Wild boar right; above, spearhead to right; in exergue, APΠANΩN. 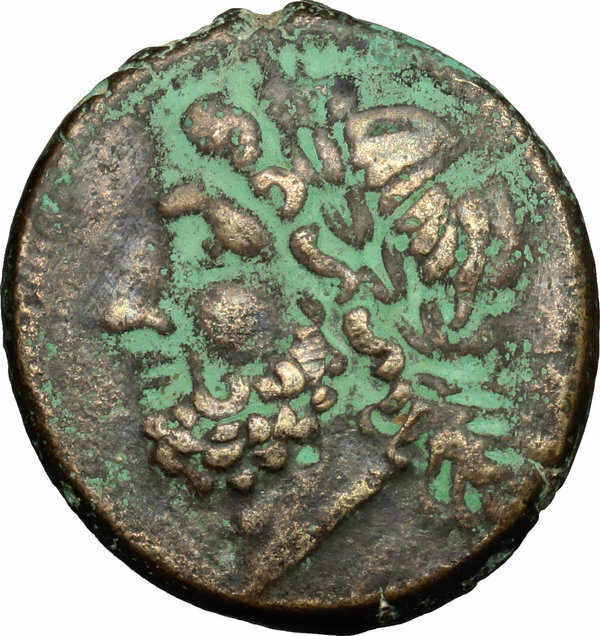 HN Italy 642. AE. g. 7.66 A very attractive example. Brown patina with green hues. Good VF.